Thought I'd show you the squares I am about to send (I know Jill, I am cutting it fine!) for the Beautiful Bloggers' Blanket for 2013. Do you remember last year's blanket? It was stunning, loads of colourful cotton crocheted squares, lovingly and painstakingly sewn together and offered as a prize to the lucky blogger picked from the hat. As you well know, blankets really make me tick....and this one...made by so many different hands, is really special. 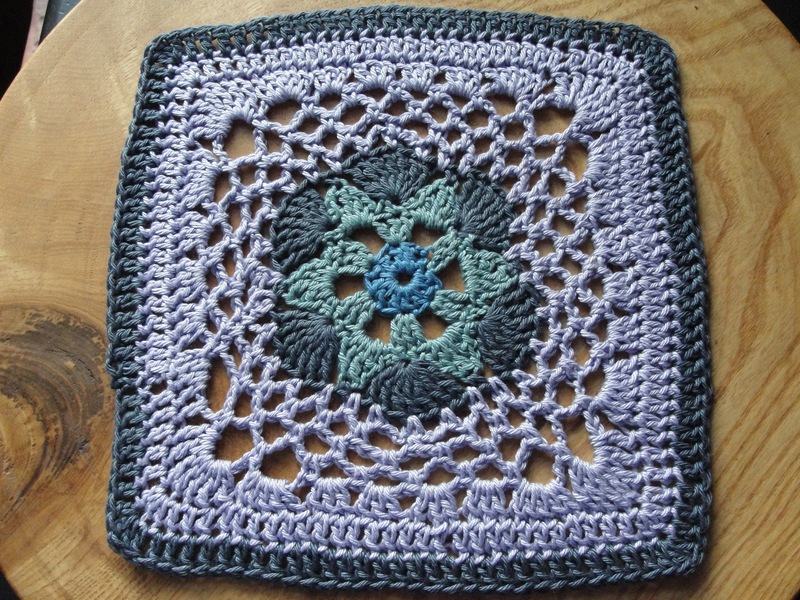 Anyway, although time is short, there is still time to join in and be in with a chance of winning this year's blanket. 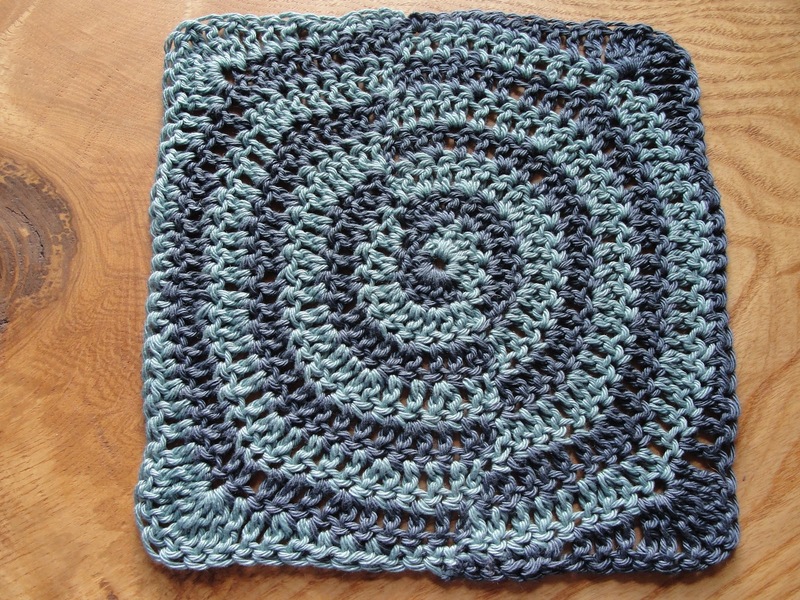 Pop on over to Stocki, read all about it, and get crocheting. My first square is called Impossible Hexagon, made in four different colours of Sirdar Sublime cotton. 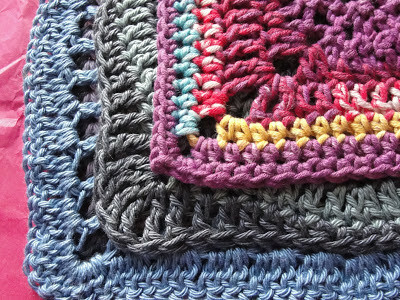 The second square is called Alter Ego, again using the same sirdar cotton. 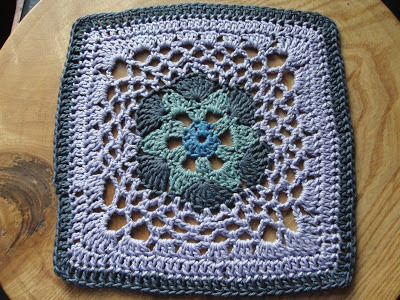 The third square has the same designer as the square above, this one is called 'On the huh'. I did really enjoy doing this one, I thought the pattern was really clever.....something a little different. 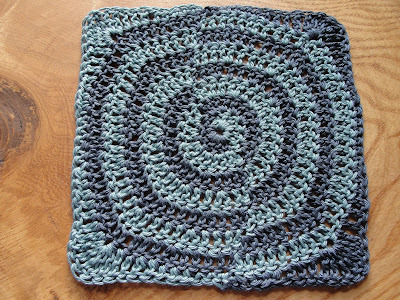 The last square was just crocheted as I went. This was made in some beautiful variegated cotton, Katia Samba that I bought from Stocki's new etsy shop.....you should check it out, she has some gorgeous handmade things, worth bearing in mind if you have a special gift to buy. Anyway.....why not get your crochet hook out, find yourself some cotton.....and join in the fun! 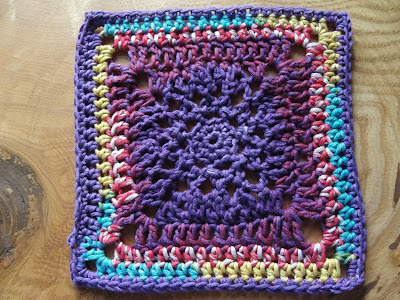 Your squares are so beautiful! The colors are wonderful! I think the third one is my favorite, but you've done a lovely job on all of them! Those squares are beautiful! I think the last one is my favourite because it looks so fun and colorful! Faith, those squares might be some of the most beautiful ones I have ever seen. Well done. 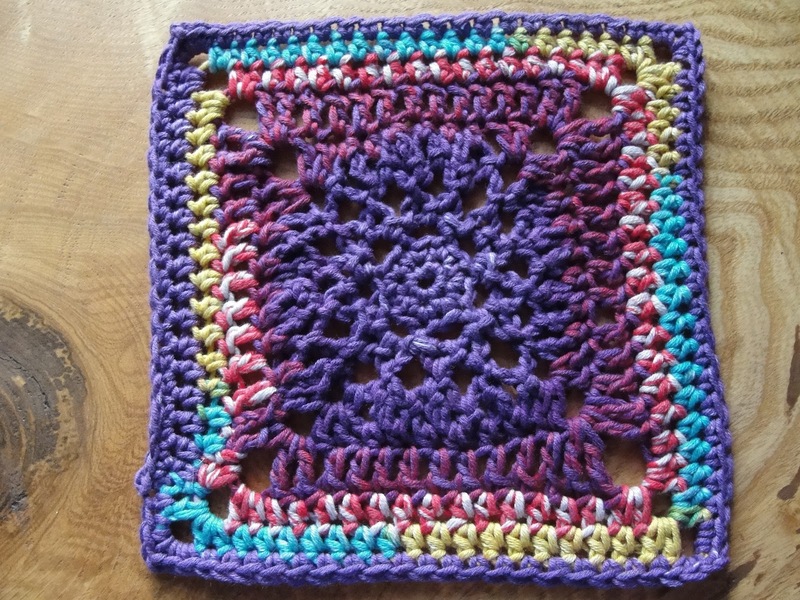 You have picked such unique and terrific crochet patterns for these squares! I love your squares! 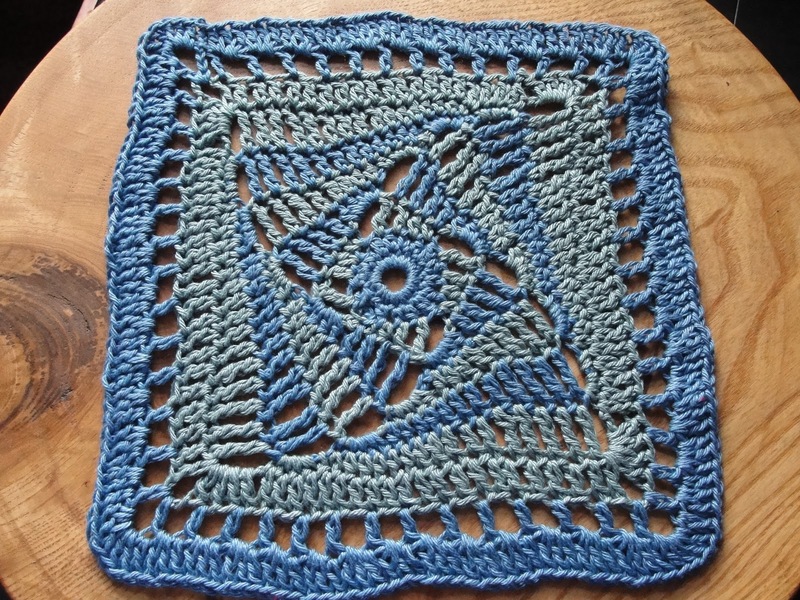 I might have to try some of these patterns for my next batch of grannies. They're all gorgeous, but I think I like Alter Ego best ... it's brilliant.